La Maddalena is both the name of the island and the largest town on that island at the northeastern tip of Sardinia; the island is part of the Maddalena archipelago in the Straits of Bonifacio, between Sardinia and Corsica. There has been human presence on the island since ancient times, but the written history of the island starts with the Romans, who called the island Ilva. 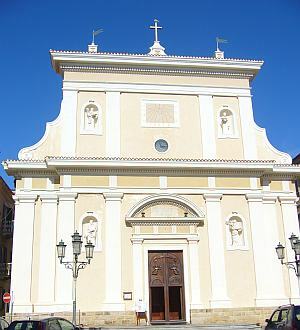 In the 16th century, it acquired the name of Santa Maria Magdalena and, finally, simply La Maddalena. Today, it is mainly a tourist attraction, popular among Italian tourists, in particular, because it is the only way to get to the home of Italy's national hero, Giueseppe Garibaldi, on the smaller island of Caprera, now joined by a causeway to La Maddalena. 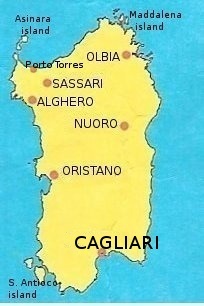 Both islands are part of the Maddalena Archipelago National Park, created in 1994. In its history, La Maddalena was been invaded by Napoleon (! 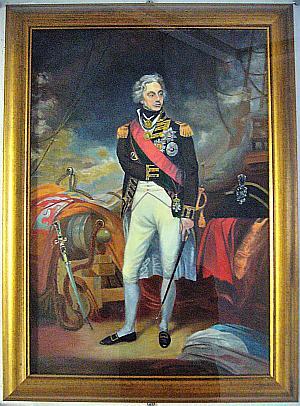 ), was a naval base for Admiral Horatio Nelson (see museum note below) and was the home of a NATO base from 1973-2008.